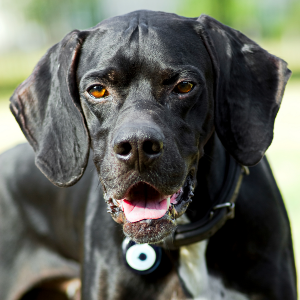 Enjoys dog sports such as field trials, tracking, agility, and obedience. 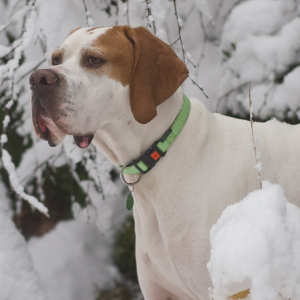 Responds well to reward-based training. 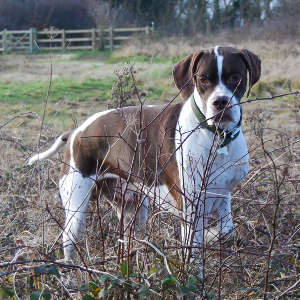 The fact that there are many different varieties of Pointer (like the short-haired, wire-haired and silky-coated versions) only confirms that their exact origins are not certain. 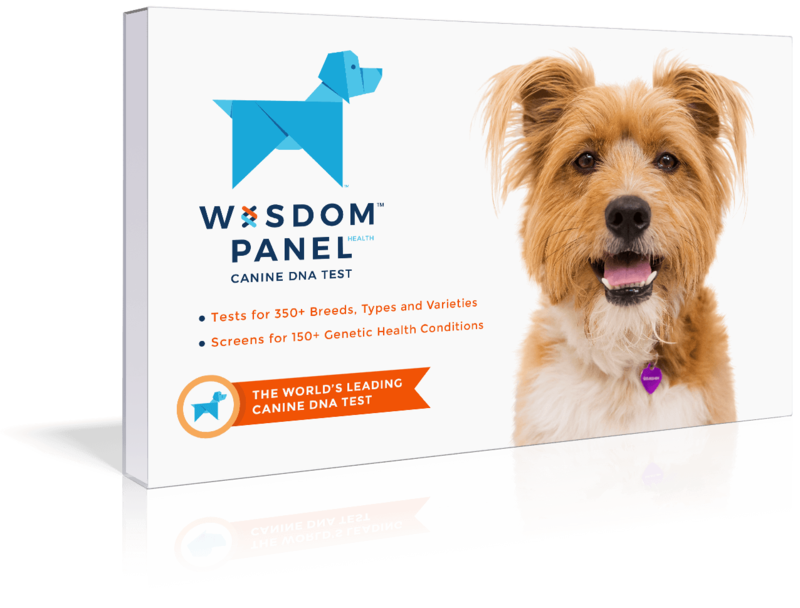 What we do know is these even-tempered, happy dogs pretty much date back to 17th century Europe, where they were used for hunting game. 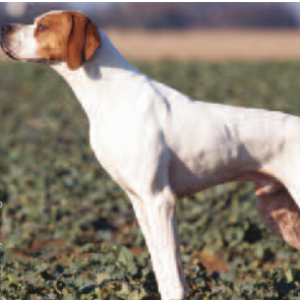 English Pointers were excellent at locating hares by ‘pointing,’ which then allowed the Greyhounds to hunt down the prey. 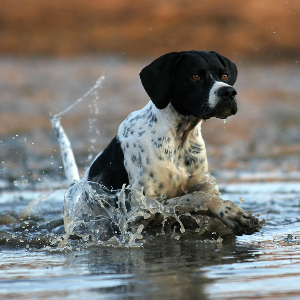 They were – and are – a pretty versatile gundog, with the ability to point, flush and retrieve from land or water. 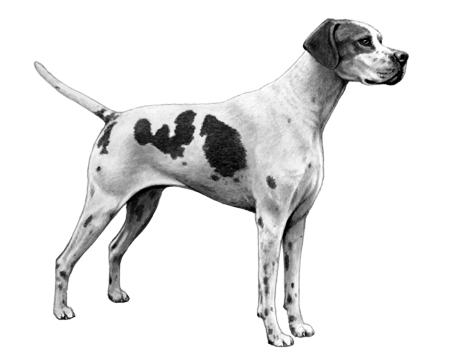 These kind and loyal pooches were brought to America in the late 1800s, where they quickly became popular. It’s not hard to point to the reasons why.